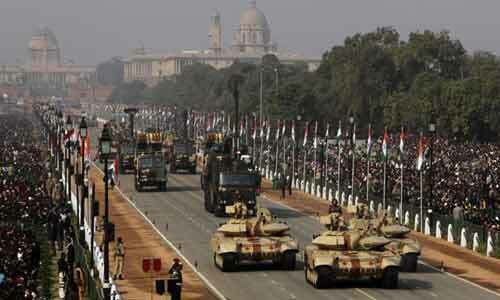 Companies dependent on the defence sector may be complaining about paucity of orders. But defence spends are scaling new heights. In 2016, India overtook Saudi Arabia and Russia to become one of the top five defence spenders for the first time, says Jane’s Defense Budget report by IHS Markit. In 2015, India was the sixth largest spender on defence. Despite the rise in defence budget, procurement spending was constrained as personnel costs rose in recent years. But the trend is expected to change in coming years as the country focuses on modernization. According to IHS Markit, over the next three years, India will re-emerge as a key growth market for defence suppliers and may even overtake the UK by 2018 in terms of defence spend. “If a weaker pound persists, India will spend more on defence than the UK by 2018—pushing the UK out of the top three,” IHS Markit adds. Signs that corporate balance sheets were hurtling towards great distress were visible as early as 2010-11 and could have been anticipated by lenders, according to a staff study of the Reserve Bank of India. In the study, using models the researchers have arrived at a debt weighted distress probability for a sector, in addition to monitoring three ratios at a single company level. The study also showed the probability of distress in some sectors such as construction, manufacturing, mining, iron and steel increased sharply. Distressed firms showed deterioration in the ratios of their current assets to current liabilities, long-term liabilities to total assets and operating profits to total liabilities over the five-year period to fiscal 2014, as shown by the second chart. The continued increase in coking coal prices poses a threat to steel producers in the near term, according to a Kotak Institutional Equities report. Coking coal prices have risen from around $100/tonne levels in the mid-2016 to $200/tonne in the September quarter and $285/tonne in the December quarter. While near-term margins could be affected, steel prices have been increasing and Kotak expects margins to normalize, either due to a decline in coal prices or higher steel prices. Till recently, steel price increases had lagged increases in cost. Demonetization has hurt domestic steel demand. But domestic flat steel prices are increasing faster due to higher global steel prices. Long steel product prices have risen albeit at a slower rate.